Truly managing knowledge is a big challenge. So perhaps it is not surprising that many organisations which invest in knowledge management systems end up managing what they can, rather than what they intended to. This is why most knowledge management systems are actually information management systems. Does this matter? There is a somewhat unfashionable idea in the field of knowledge management called the knowledge hierarchy. It may be unfashionable – some say it is too simplistic – but the knowledge hierarchy concept can be very helpful because it shows what needs to happen to raw data in order to make it really useful. 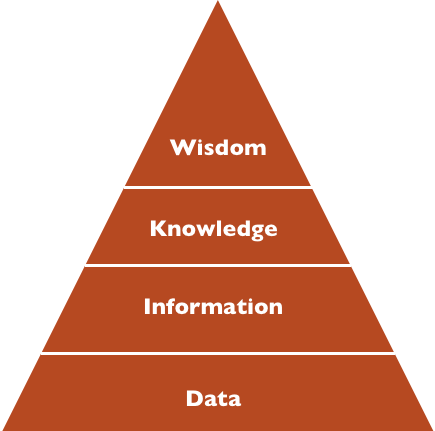 Data, information, knowledge, wisdom – these are the levels of the knowledge hierarchy. Data comprises facts, figures and observations. Information is data with added interpretation (categorisation, collation, comparison, and so on). When we internalise information and make connections with other things we know in order to help us answer our questions and make sense of the world we generate knowledge. And finally when we combine our knowledge with our experience and values so that we understand underlying principles and can apply these in different contexts we achieve wisdom. The effort involved in moving from one level to the next become more demanding with each step we take up the knowledge hierarchy. This helps to explain why, when we aim to manage knowledge, more often we end up managing information. So I believe the often-quoted words from poet TS Eliot’s ‘The Rock’ at the beginning of this post carry a very important message. If we try to convince ourselves – or genuinely believe – that we are managing knowledge when in fact we are managing information, we run the risk of devaluing the very nature of knowledge. Perhaps without intending to, we strip from our understanding of knowledge the deeper meaning and connections that provide its real value. And likewise if we believe we have developed wisdom when we have not spent the necessary time and effort to test and modify our knowledge in the light of practice – the very essence of wisdom – we may believe our knowledge to be applicable irrespective of context. Managing information is important. 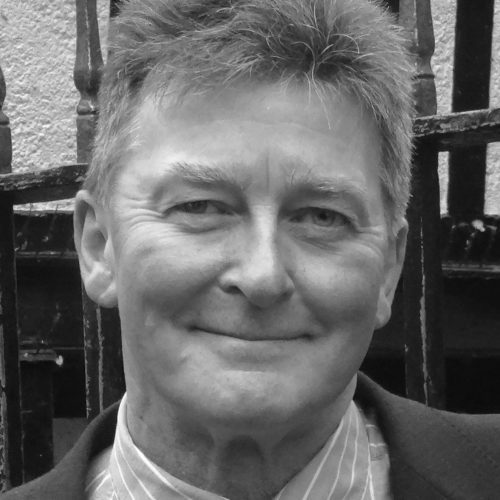 Our organisations need the systems that enable us to access and use interpreted data. But it’s important to make sure that our ambitions to create knowledge management systems don’t lead us to overlook what gives knowledge its true value.